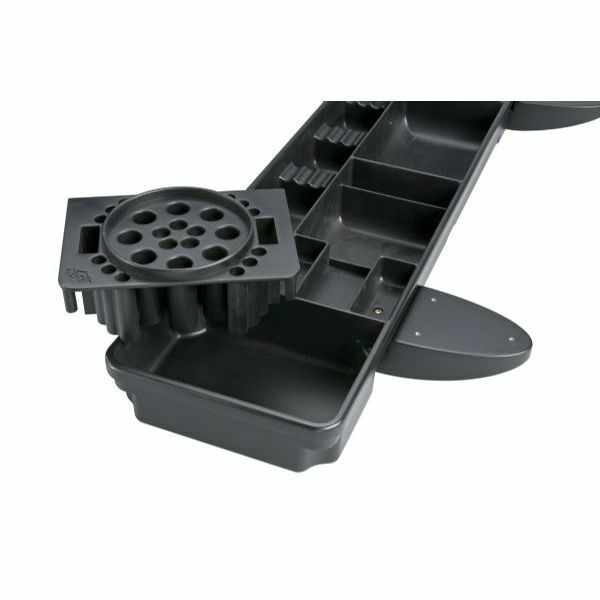 A versatile storage system that keeps work surfaces clear and organized. 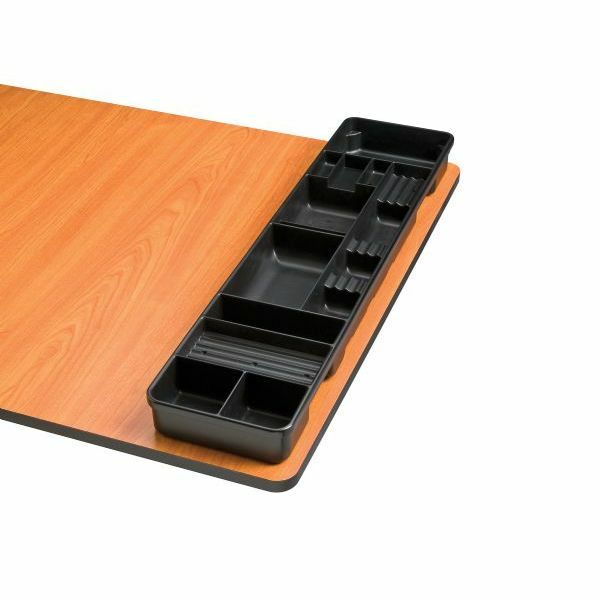 Made from sturdy molded ABS high-impact plastic, these trays have 14 compartments of various sizes and removable inserts with 27 positions for pencils, pens, and markers. Special compartments for scissors and items up to 15" long such as rulers or brushes. Can be mounted to the left or right side of any table that accepts wood screws. Works best for tabletops between 5/8" and ¾" thick. 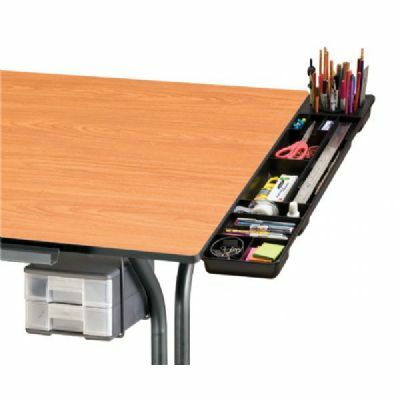 Requires 4" of open space under table for attachment brackets. Doubles as a desk accessory with rubber feet. Overall dimensions 29 inch x 7 inch x 2.5 inch.